I have a loyal reader from Brazil and I was searching the new for some story on the new government that is taking control….and I was diverted by an American story that did not make our news. Seventeen months after a Green Beret died in unusual circumstances in Mali, the U.S. Department of Defense is no closer to disclosing the circumstances of his death or whether charges should be laid against any individual or individuals. Army Staff Sgt. 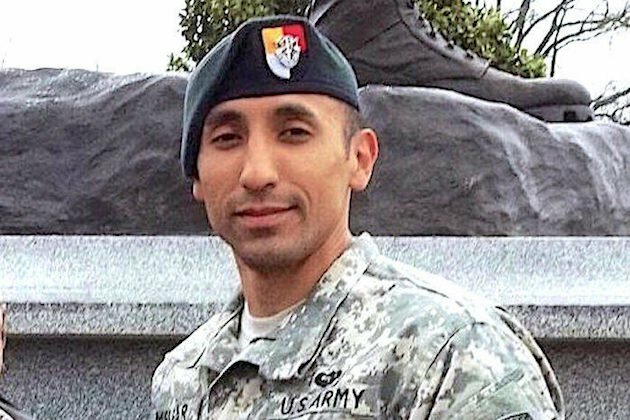 Logan Melgar was killed at a house he shared with two U.S. Navy SEALS and two Marine Raiders, who were part of the same small joint special operations unit attached to the U.S. Embassy in Bamako, the Mali capital. oth the SEALs, Petty Officer Antony DeDolph and Chief Petty Officer Adam Cranston Matthews gave investigators conflicting stories as to what had happened leading up to the time of Melgar’s death, the circumstances and the cause. Their stories also kept changing. Initially they took Melgar to a medical clinic and told staff there they had found him in the condition he was in, and that DeDolph, a martial arts expert, had tried to revive him by doing an emergency tracheotomy. Subsequently the pair said DeDolph had been sparring with Melgar in a late night, drunken incident, he accidently choked the soldier. The problem with story is that Melgar didn’t drink. The Medical Examiner found no traces of alcohol or drugs in his body. It is a shame that all the midterm speculation was far more important than the death of an American soldier….a needless death….. It was also reported in an Argentine newspaper as well…..but not so much here where the man lived. It does beggar belief, that an important story concerning the US military has to be discovered by reading newspaper reports from Brazil and Argentina. With yesterday being election day, you knew the news would nothing but. I don’t understand why Brazil ran the story – just to say there was no definitive conclusion to the investigation?